What does your abdominal pain mean? Most pregnant women with lower abdominal pain don’t have an ectopic pregnancy. Abdominal discomfort is very common during pregnancy and can have many causes, especially in the early months. Lower abdominal pain can have a more serious cause, such as ectopic pregnancy. The vast majority of women with lower abdominal pain in early pregnancy do not have an ectopic pregnancy. Under these circumstances a transvaginal scan or internal scan is the best way to exclude an ectopic pregnancy. In our hands, transvaginal ultrasound can detect more than 90% of ectopic pregnancies. OMNI ensures that any woman who presents with lower abdominal pain in the first trimester has access to the most up to date early pregnancy care. An ectopic pregnancy is the situation where the fertilised egg implants outside the womb, usually in the fallopian tube (95% of the time). As a rule, this is not a normal developing pregnancy and it does not contain a fetus. Ectopic pregnancies are commonly called “tubal pregnancies.” As the ectopic pregnancy grows, the tube may eventually burst (this is because it has not got the same capability as the womb to grow and accommodate a pregnancy). This can cause severe bleeding inside the “tummy” and endanger the mother’s life. The presentation of ectopic pregnancy can be varied from minor non-specific symptoms of bleeding and/or pain to sudden collapse in a woman. The symptoms very often mimic miscarriage and therefore it is important for the clinician to be aware of the possibility of ectopic pregnancy. A urinary pregnancy test is mandatory and if positive, these women need to then have a transvaginal, not transabdominal, ultrasound scan performed. Greater awareness of symptoms and risk factors by General Practitioners and Emergency Physicians can increase the number of women referred for an early scan and in turn potentially decrease maternal morbidity and even mortality. 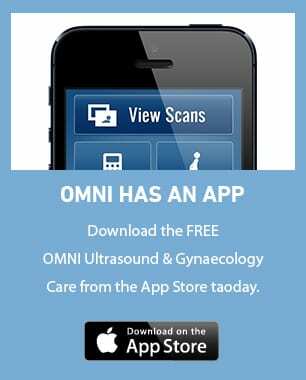 If a woman who conceives has any of the aforementioned risk factors, she should be referred to OMNI for an early scan to confirm the location of the pregnancy. In selected cases of ectopic pregnancy, OMNI offers non-surgical management strategies which include methotrexate and even expectant management.